I started the Grisha Trilogy after they'd all been released and thank frickin' goodness because it would've been a painful wait after finishing SHADOW AND BONE. The writing was so engaging that I read all three books in a week, which is why I decided to review the whole darn thing at once. Because holy magical awesomeness! Oh man. This trilogy really was amazing. 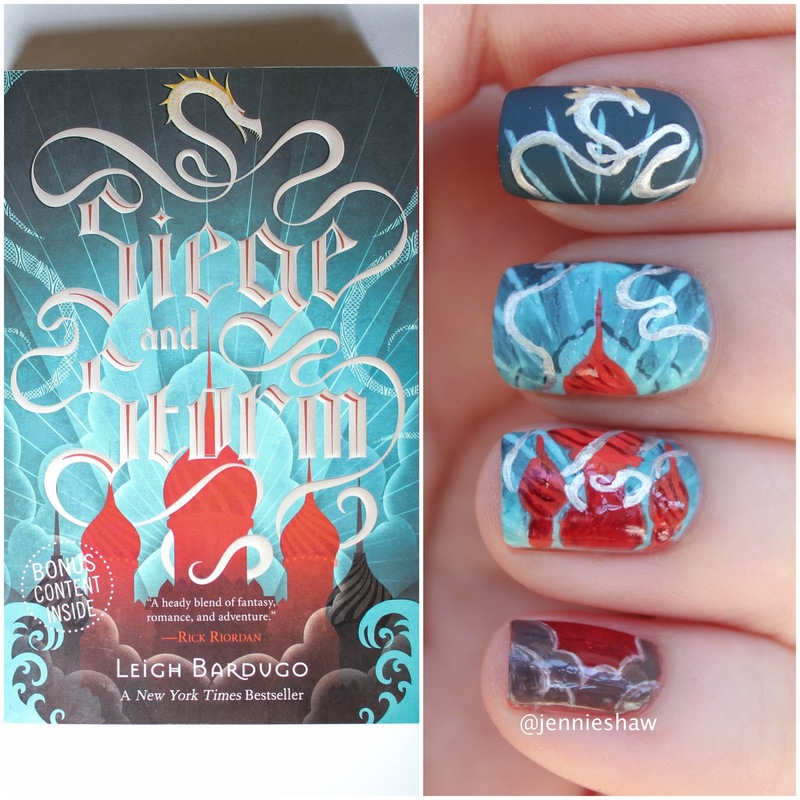 Just re-reading the back jacket for SHADOW AND BONE put a smile on my face. Haha! There were so many elements to love about this trilogy, but one that stands out in particular is character motivations. In this series, both the good guys and the bad guys long to be part of something bigger than themselves, to feel like they belong. Granted, they had different ways of showing it, by wanting to either save or destroy the kingdom of Ravka, but their motivations came from the same source. 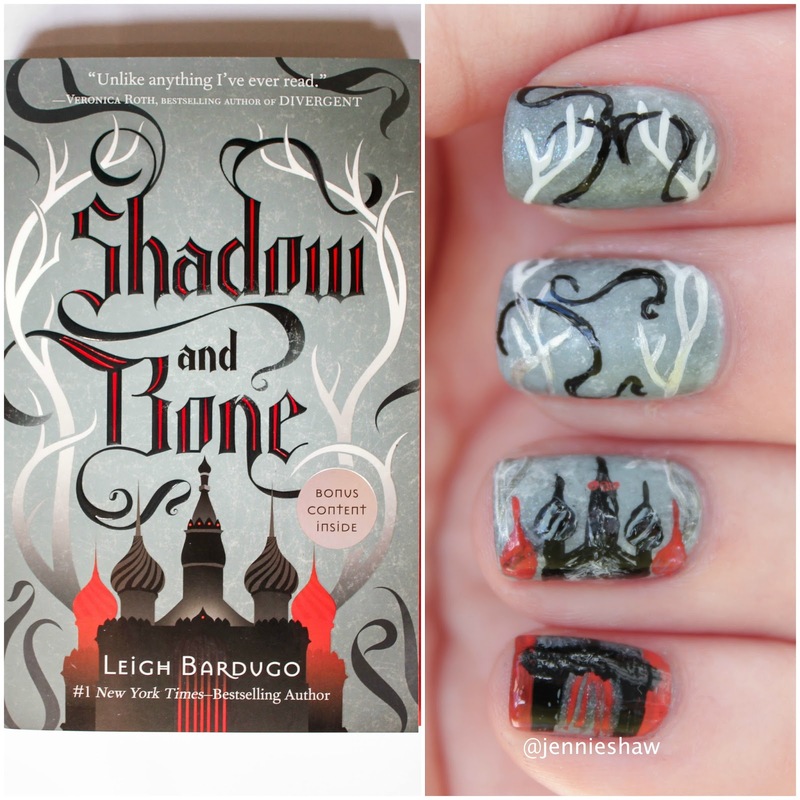 It was a genius move, really, because every reader has felt the ache of loneliness at some point, and that sympathy snakes its way towards the Darkling who, as you can probably guess by his name, is the bad guy. 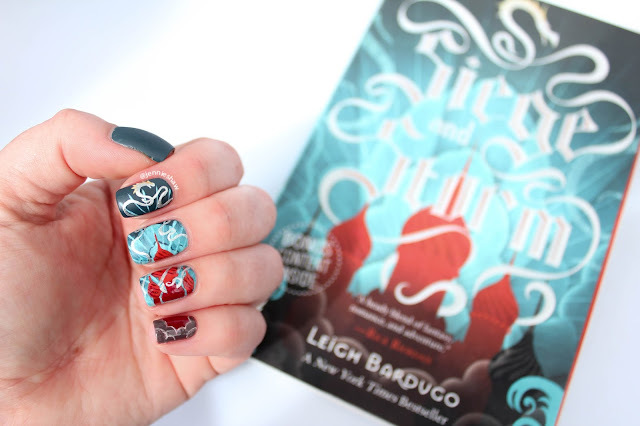 Nobody’s all good or all bad, and Bardugo's uncanny knack for writing characters who are ripe with redeemable virtues yet also possess terribly unflattering ones, shines throughout each instalment. 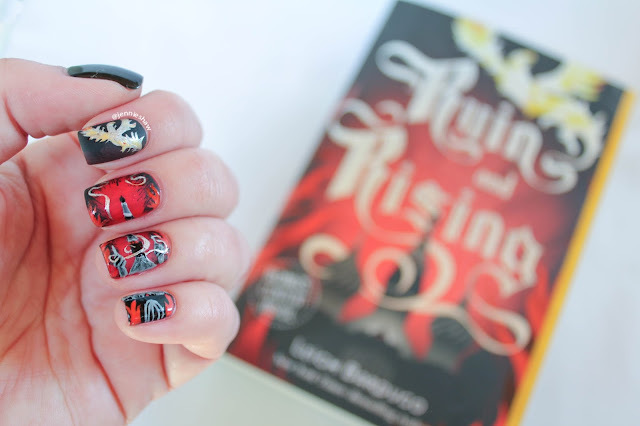 And by sympathizing with the Darkling, I ended up rooting for both sides. When one side got a win, I'd want to raise my fist in triumph, but I'd also feel a twinge of compassion for the defeated--a seriously cool reading experience. 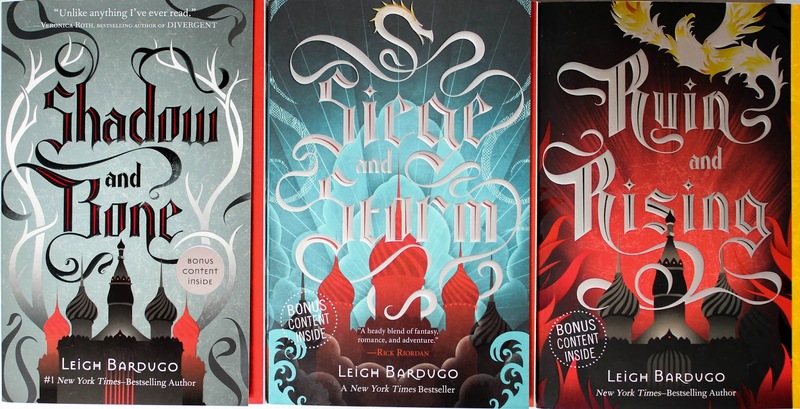 Rich descriptions are another standout element of the Grisha Trilogy. With technicolor imagery, each scene leaps off the page. When Alina discovers ornate carvings in a grand castle, my fingers grazed the ridges with her, and if characters found themselves shivering on the side of a snowy mountain, I practically had to put on a sweater. In addition to awesome characters and killer settings, there’s tons of action in each book--no save-it-for-the-grand-finale stuff happening here!--and the stakes get higher and higher as you go along (to the point where you may read RUIN AND RISING in one day, which is exactly what I did because oh em gee all the things!!). Plus, there’s the whole magical powers thing. And the romance. And, you know, basically everything you'd ever want in a trilogy. Haha! 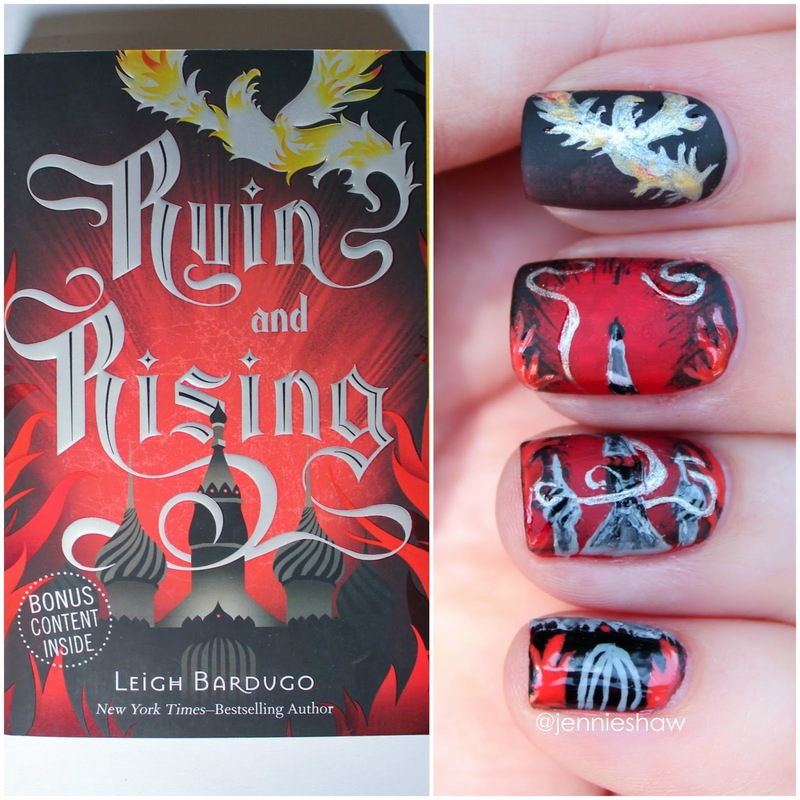 Yes, I realize I'm recommending you buy four books (technically five because the sequel to SIX OF CROWS comes out in the fall yay!) but I swear you won't regret it. 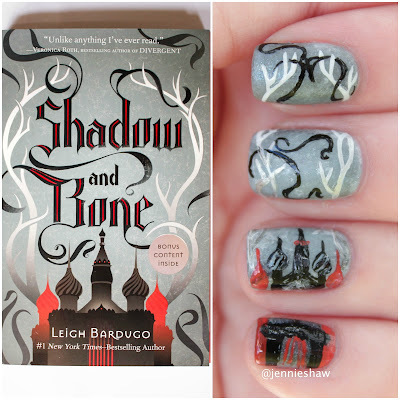 Consider them your summer reading list, if that'll convince you, although I wouldn't be surprised if you whip through the four published books in no time flat because once you get a taste of Grisha life, you won't want to stop. And for more, non-book-related manis, be sure to check out my IG page (@jennieshaw)! 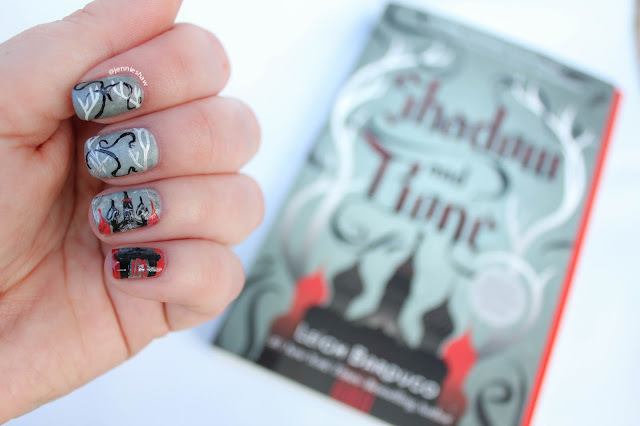 your nails always look fabulous.